Snoop Dogg. Snoop Doggy Dogg. Snoop Lion. Snoopzilla. It’s the capital S, oh yes, I’m fresh, N double-O P. Calvin Cordazar Broadus Jr. West Coast hip hop pioneer. Platinum-selling record artist. Film star. Philanthropist. Marijuana enthusiast. Cooking show co-host with Martha Stewart. Football coach. Gives away 3,000 turkeys every Thanksgiving. Cookbook author. 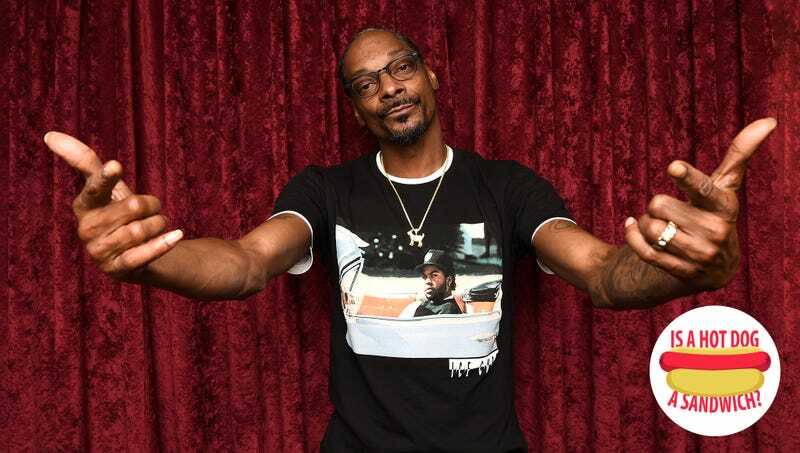 Snoop Dogg has done nearly everything, except weigh in on whether a hot dog is a sandwich. Snoop Dogg has done it all. Snoop Dogg: The Boss Dogg knows every type of dog. And a hot dog ain’t a sandwich. It’s a hot dog. Hey Rob Riggle, is a hot dog a sandwich?